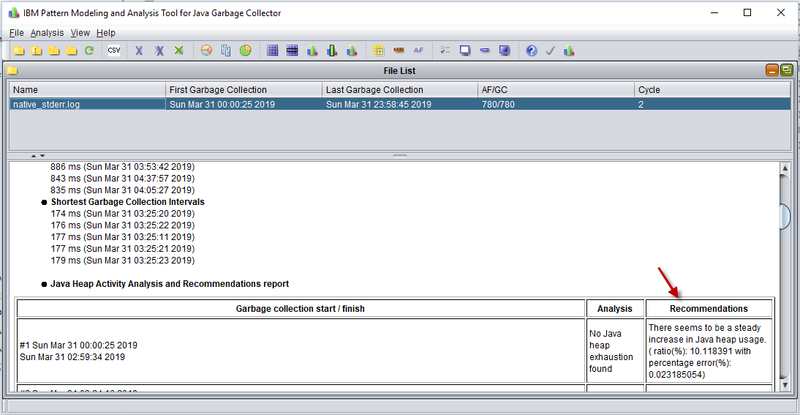 IBMs Pattern Modeling and Analysis Tool, which is part of IBMs Support Assistant, can be used to analyze the garbage collection logs (native_stderr.log, native_stdout.log). In the Pattern Modeling and Analysis Tool, select File > Open verbosegc. Select the native_stderr.log or native_stdout.log file you will like to analyze. Recommendations will be displayed. It is usually a good idea to compare at least a few of the log's, to see if the tuning recommendations in each log are similar or different.